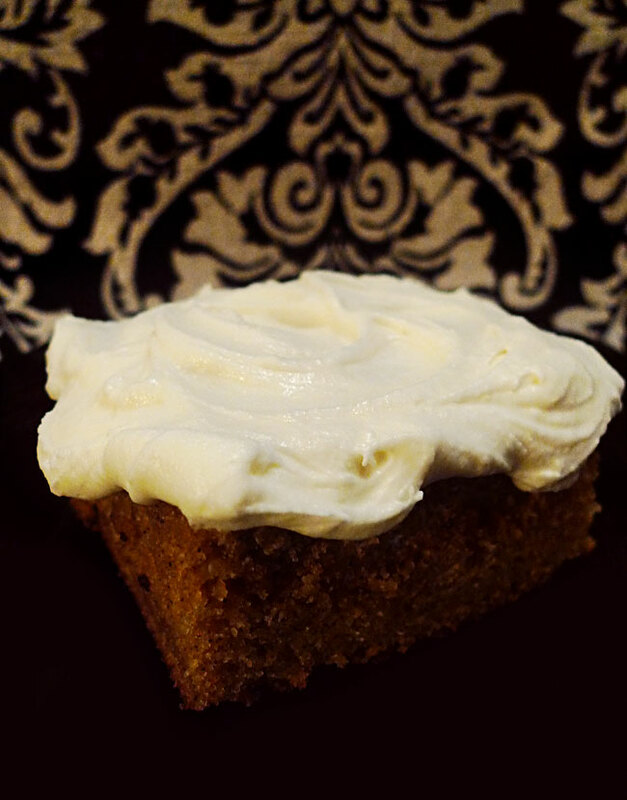 I just adore these pumpkin cake bars! They're so moist and light, and not overly sweet. Topped with swirls of cream cheese frosting, they're irresistible! Beat together the eggs, sugar, oil and pumpkin until light and fluffy. In a separate bowl, mix together the flour, baking powder, cinnamon, nutmeg, ginger, salt and baking soda. Add the dry ingredients to the pumpkin mixture and mix at low speed until thoroughly combined and the batter is smooth. Spread the batter into a greased 13x10 inch pan (for thick bars) or in a greased jelly roll pan (for thin bars). Bake for 18 (thin bars) to 30 minutes (thick bars). Let cool completely before frosting. Whip the cream cheese and butter in a medium bowl with an electric mixer until light and fluffy, mix in vanilla. Add the confectioner's sugar 1 cup at a time, and mixing at low speed, until the desired consistency is reached. Spread on cooled pumpkin bars. Enjoy! I will definitely be making these for my husband. He LOVES pumpkin. I like that these aren't overly sweet, according to you.